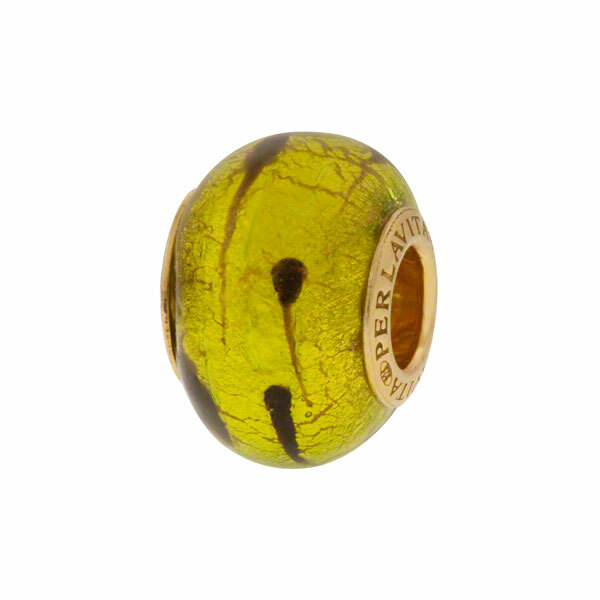 PERLAVITA, Large hole bead with Vermeil insert. Our own designs with authentic Murano Glass using 24kt gold foil encased in peridot (green) with splashes of chocolate (looks like a tear - lacrima in Itaian). Great shape approxmately 14x12mm. The hole inside these is approximately 5mm which will fit on popular bracelet systems. Hole size is approximately 4.7mm. The insert is vermeil, plated sterling silver.